• Participate in the Confirmation Involvement System. Please download the documents below. • Choose a sponsor. Sponsors must be confirmed, active Catholics and cannot be the confirmation candidate's parent. Candidates should maintain weekly contact with their sponsors. • Attend six (6) Super Sunday sessions. If you miss a session, you MUST contact either (a) Mary Seidler or (b) your team leader to find out what you missed. There will be a make-up Super Sunday in April. Missing more than 2 Super Sundays will seriously jeopardize your opportunity to be confirmed in the spring. • Attend one weekend retreat.Our retreat is scheduled for Friday, November 18-Sunday, November 20. Please download the registration form here. If you do not attend this retreat, there will be additional retreats throughout the year. You are responsible for registering and attending one retreat to be confirmed in the spring. • Complete 20 service hours. These hours must be completed to be Confirmed in the Spring. Volunteer Opportunities are available here. • Obtain and submit a copy of your baptismal record unless you were baptized at Christ the King. 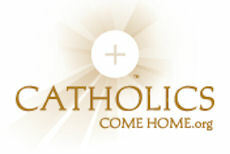 For specific questions about Confirmation at Christ the King Parish, please e-mail or call Mary at 946-1675 Ext. 228.